This is another movie that I already wrote a review for back in October, but needless to say it’s easily the most unexpected movie to reach my Top 10 by a long shot. I’d never even heard of it before I chose to watch it and I’m usually generally on top of anime movie releases. Anyway, needless to say, I loved the hell out of it. It was weird, quirky, funny but with a real sense of intelligence and profoundness beneath the surface. The characters were lovable, the mysteries mysterious and overall just a really pleasant surprise that I didn’t expect in the slightest. 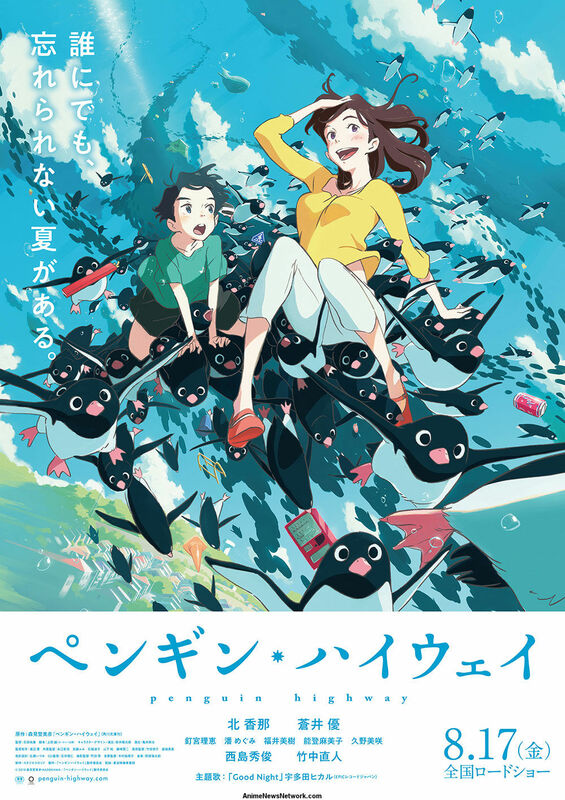 It was written by the same person who wrote ‘The Night is Short, Walk on Girl’ (aka my favourite movie of 2017) and while this movie doesn’t quite have Yuasa’s beautifully vivid directorial style to compliment it, it’s still a damn strong story that made for a damn unexpectedly enjoyable movie. I’ll admit it might not be for everyone (and, unlike Funan, I don’t have any expectations for it at the Oscars next year), but as my obligatory obscure unexpected animated favourite for the year, I’ve still got to recommend to anyone who’s interested. If you get a chance this year, give it a try, especially if you enjoyed Night is Short. You might be pleasantly surprised.